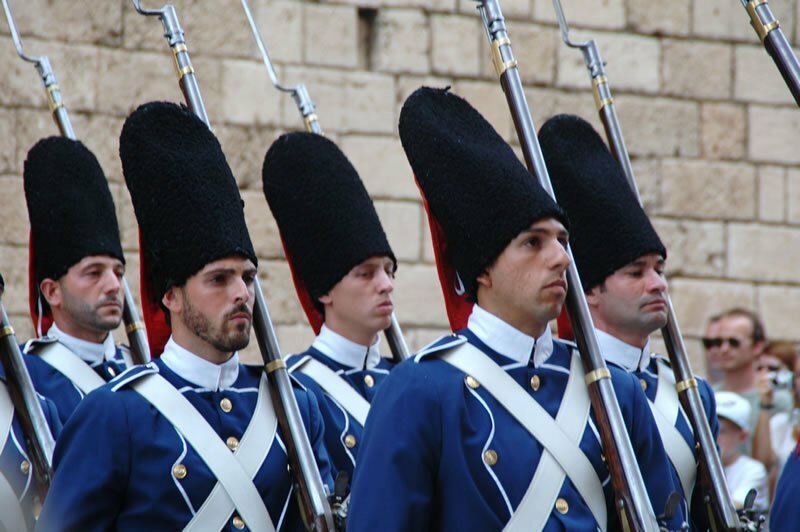 The Changing of the Guard in Palma is quite a spectacle with the added bonus that it is free! 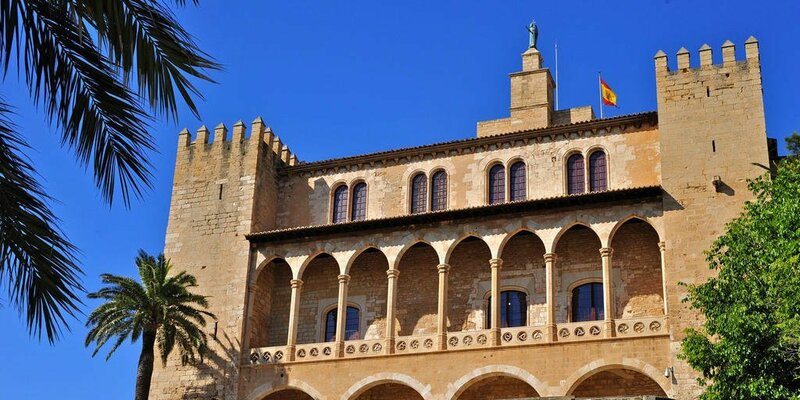 Taking place on the last Saturday of each month at noon (7.30pm during the hotter months ) it dates back to 1808 when guards at the Almudaina Palace opposite Palma Cathedral, changed shifts during the period of the Spanish War of Independence. Although the Changing of the Guard dates back over 200 years, the ceremonial re-enactment was revived just 20 years ago and has been hugely popular ever since. 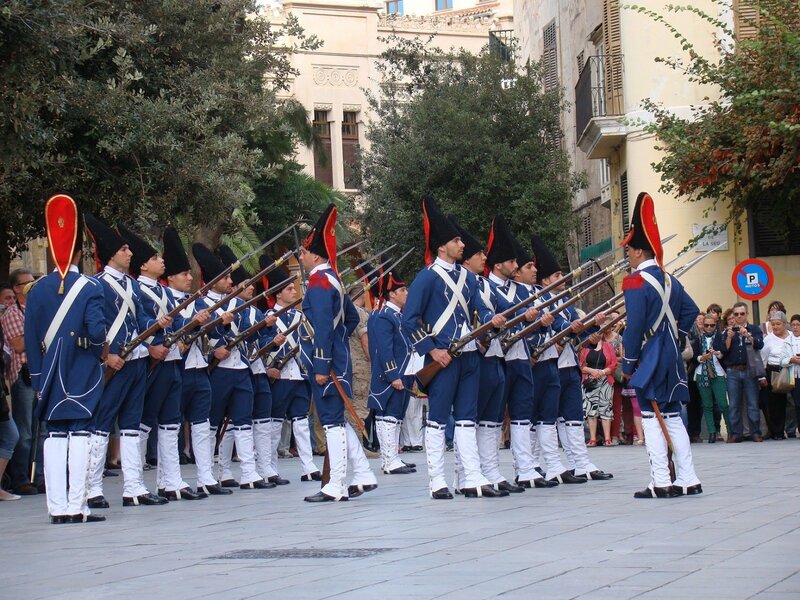 The parade features around 20 soldiers of the Light Infantry Regiment of Palma who in period uniform and bearing muskets, sabres, halberds and drums pay tribute to their predecessors. Arrive early to secure yourself a good position. Summer months can be very busy and you may jostle for a place, but as a low season traveller you are pretty much guaranteed a ring side view. In a colourful and evocative display, the troops march out from the Palace gates led by two drummers and a lone piper followed by the rest of the soldiers who file into the courtyard. The parade forms into an honour guard, there is a review of arms and then the formal change of sentries takes place. The whole ceremony lasts just 30 minutes after which you might choose to tour the impressive Almudaina Palace. Open from 10am-8pm during the months of April to September and from 10am – 6pm during the months of October to March. The entry fee is €9.00 for adults and €4.00 for children. Wednesday entry is free all day. The Changing of the Guard is real history unfolding before your eyes so allow yourself to be transported back two centuries in time! 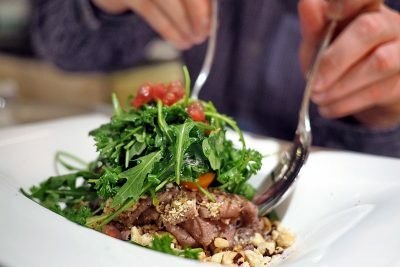 Yet another reason to visit the magnificent city of Palma.